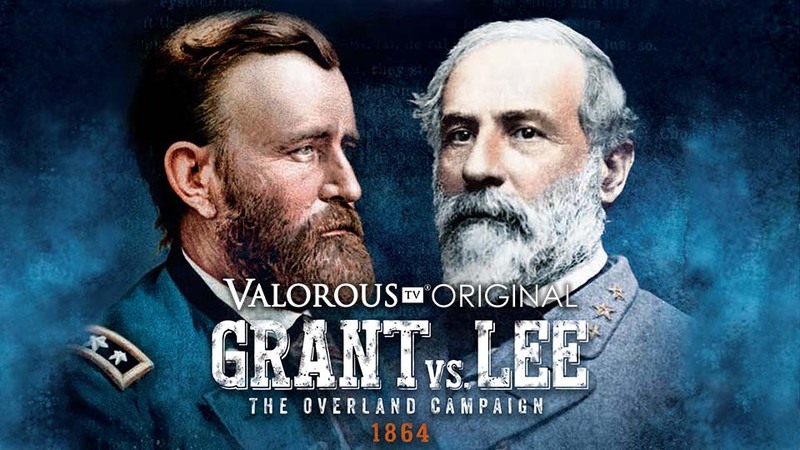 A Valorous TV exclusive, original, 90-minute documentary, Grant vs. Lee: The Overland Campaign captures the most important campaign of the Civil War and the tactics used that changed warfare forever. As General in Chief, Grant chose to accompany Meade as he took on Lee. For nearly forty days, the Army of the Potomac and the Army of Northern Virginia were in nearly constant contact at the Wilderness, Spotsylvania, North Ana, and Cold Harbor. This is the story of those forty days and the campaigns across the country in support of Grants operation. This is the most important campaign of the war and the tactics used here changed warfare forever. This was the first use of total war were objective was to destroy the enemies ability to wage war. It was the first time stalemate trench warfare was used as well as railroad artillery. The re-enactments were filmed on the actual battlefields in Virginia. Includes rare photos and expert interviews. Jeff Shaara – An award-winning American novelist. Warner Bros. made the major motion picture Gods and Generals, which was based on his novel of the same name. His father was the Pulitzer Prize-winning writer Michael Shaara (“The Killer Angels”). Ed Bearss – a United States Marine Corps veteran of World War II, is a military historian and author known for his work on the American Civil War and World War II eras. Because of Bearrs’ ‘interpretative touring’ style, He is a popular tour guide of historic battlefields for The Smithsonian Associates. A Washington Post reporter described Bearss’ style as a guide as “Homeric monologues.” The Wall Street Journal wrote that he evokes “almost hallucinatory sensations.” Historian Dennis Frye said a “battlefield tour with Ed Bearss is a transcendental experience.” He served as Chief Historian of the National Park Service from 1981 to 1994 and is currently Chief Historian Emeritus.